What are the VAT Implications if we Leave Europe with No Deal? Saffery Champness, the 12th largest firm of chartered accountants in the UK has analysed the VAT outcome of a Hard Brexit. The prospect of leaving Europe on 29 March with no deal remains a possibility and, if nothing changes between now and then, UK businesses following a Hard Brexit will broadly be subject to the same VAT and customs regime (when trading with the rest of the EU) that applies when trading with the rest of the world. What does this mean for UK businesses in all sectors, including the agricultural sector? Businesses will be obliged to make import declarations and pay customs duties on imports on dutiable goods coming from the EU. Businesses should put in place guarantees, or Customs Comprehensive Guarantees (CCGs) with HMRC in respect of their imports (not subject to relief) from the EU. Importers of goods (not subject to VAT relief) would usually pay import VAT and subsequently seek to recover that through their VAT returns creating, at best, VAT cash flow costs. Government has announced that it will introduce a deferred accounting scheme allowing import VAT to be declared (and recovered where applicable) through the same VAT return. This should alleviate the cash flow cost for those businesses that are able to fully recover VAT. Businesses importing and/or exporting goods will need to register for an EORI (Economic Operator Registration and Identification) number to be able to import goods. This was not necessary previously where all goods were shipped from or shipped to the EU. 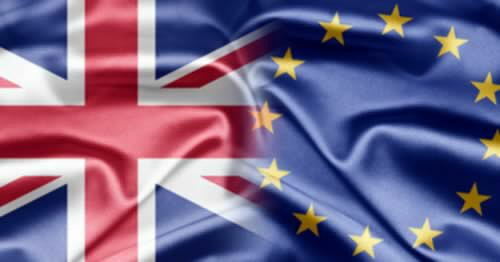 Distance selling arrangements will no longer apply to UK businesses selling and shipping goods to EU customers. EU member states are likely to treat imports of goods from the UK in the same way as goods from non-EU countries. Intrastat and EC sales lists for goods and services will no longer need to be completed by UK VAT registered businesses. UK businesses will no longer be able to use the EU VAT refund system and will need to use existing claims procedures for non-EU businesses. In addition to the above, businesses importing and re-exporting large volumes of potentially dutiable goods from the EU should explore customs simplification procedures that defer or mitigate customs duty costs into the UK. There is of course a chance that an extension or compromise deal will be agreed that will allow the status quo on VAT and customs to continue after 29 March, but we cannot ignore the ‘no deal’ alternative. Such a change would be doubly unwelcome just as Making Tax Digital goes live for VAT from 1 April. We would hope that the majority of businesses would be well progressed in their planning to put systems and processes in place ahead of this switch.